Has anyone here built a Bluetooth speaker? If so, what type of components (tweeter, mid, bass etc) did you use and where’d you get them. I’m thinking veneer on (you guessed it) MDF. Also, does anybody here know of good resources such as forums etc. Most every speaker you can buy is made of MDF, so it’s a good choice. Look at Parts Express – they’ve been a mainstay of the DIY audio market for a very, very long time. They sell a number of speaker kits. LJ Mainiac Matt built a couple of them. Here (http://lumberjocks.com/projects/334801) is the second of his builds. Audiokarma is an excellent forum and a go to for info. There’s an entire member builds section. Careful though, everyone on that site is an audiophile, mostly self-proclaimed. Opinions galore. They do know what they are talking about though. Mostly. As mentioned already, Parts express. You can get everything there. I recently posted the one I made for my shop. If interested check my projects. I got the board on eBay, speaker and power supply from Parts Express and a rechargeable battery on Amazon. The part numbers are listed in my project post. If you want to try something really simple first, Rockler has bluetooth kits for $30. 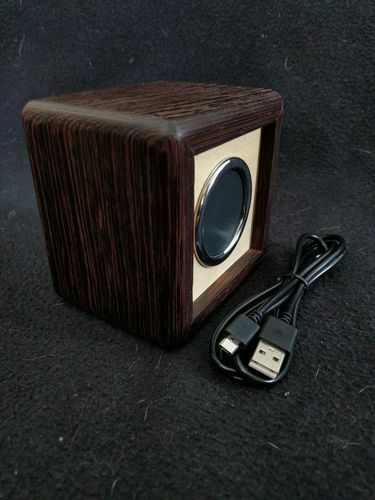 It’s only a 2in speaker, and plans to build your own box or design your own. Pics are of a few I built. If your looking for some more complicated electronics I 2nd Parts Express. They have all sorts of components, including bluetooth receivers, which you can hook up to whatever speakers you want to put in. Redoak49 – sensational! – thanks! 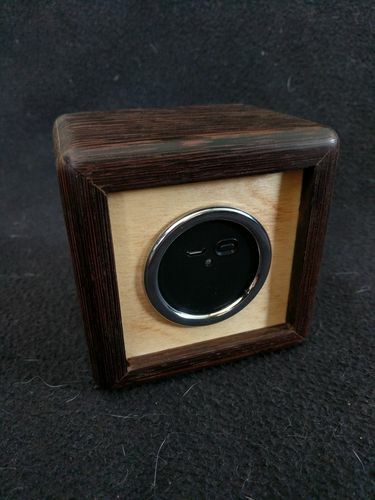 Mine wasn’t bluetooth per say, but rather built into a custom wooden computer case. 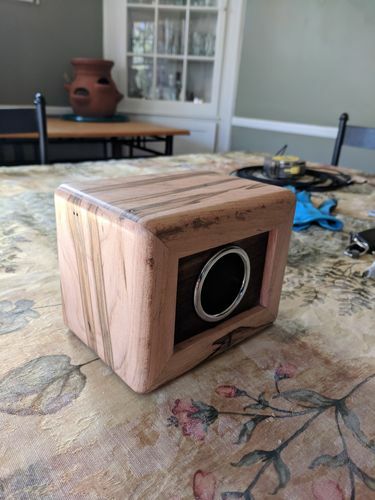 I’m in the process of building a bluetooth speaker for the shop now, just have to finish the cabinet for it. Check out Kirby Meets Audio, for a resource on building them. He also sells plans, and kits, or provides a list of parts, etc.